Do you collect “the dark”? 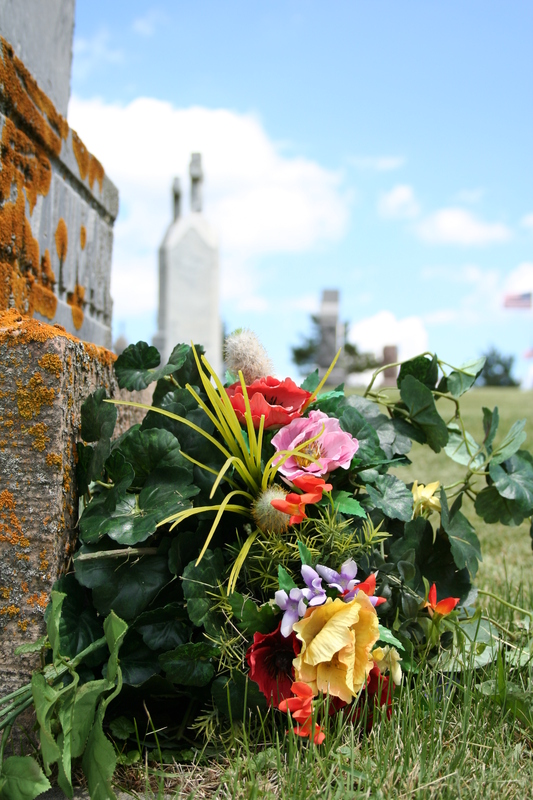 One theme of my memoir (forthcoming Spring 2013 from the University of Minnesota Press) is the surface beauty that I saw in cemeteries. Geometric patterns in gravestones. Historic etchings. Flowers. Neatly trimmed grass and shrubs. I don’t collect the macabre, but I’m drawn to it. One book I read a few years ago in my research was Sleeping Beauty: Memorial Photography in America. The Victorian era yielded some stunning images of the dead. The reason behind this photography was simple, and the intent far from disturbing: this might be the only image that exists of a family member, especially if the deceased were young. Or families wanted one final portrait with the entire clan, death be damned. If I had more time, I would try to collect post-mortem photos considering my interest in photography and cemeteries. 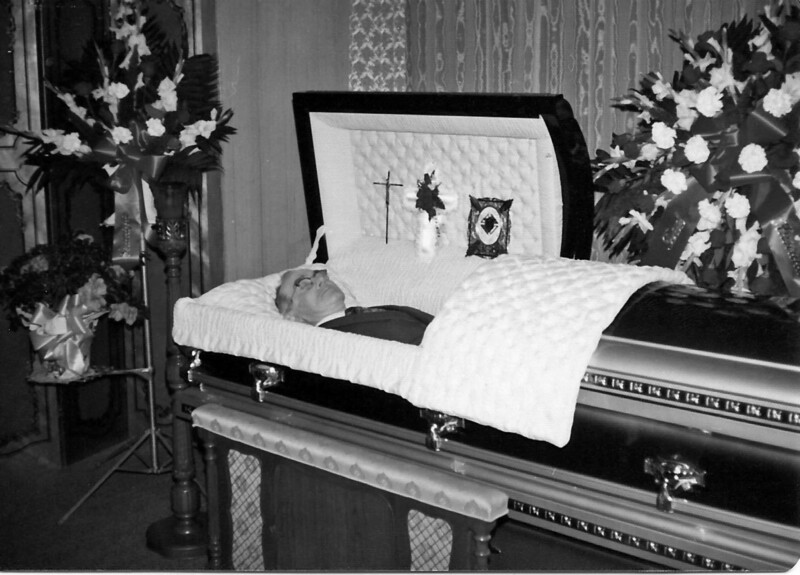 A quick search on the Internet turns up several sites dedicated to post-mortem photography. According to the Chronicle article, art historian Paul Koudounaris “suggested that our culture sees death as disgusting and alien because we deny its inevitability.” People who collect the macabre are confronting the reality. What do you think? Do you collect anything “dark”? If so, what draws you to it? Have you taken post-mortem photographs of your own? It still happens; I’ve seen people snap photos of the dead at wakes in recent years. Grandpa Hager (my dad’s dad), 1975. I grew up with this picture in our family photo album. I’ve been thinking of this for a few days and looking around at my “collections”. Fire King Jadeite isn’t really a dark obsession. Nor are papier mache trays. Or vintage linens. But then I looked at the 3 foot tall stack of books about Marilyn Monroe beside my couch and there I saw it: the dark obsession. Fascinating, misunderstood woman. Longing to be the artist she wanted to be, forced into vapid roles by the studios. A delicate soul ravaged by the realities of the industry she worked in. I think Marilyn counts as dark. For all her beauty, there was plenty of darkness. I read my share of tragic stories over and over hoping that the ending will be different. I actually have a piece about this, but I don’t think it made it into the book. I watch “The Perfect Storm” over and over because I think there might be a small chance the guys make it over the wave at the end this time. Oh, I know. And maybe William Wallace will win (Braveheart), and maybe Mozart won’t die (Amadeus) and maybe they won’t burn Joan of Arch this time (Messenger)…what makes us do that? Good story.